Dr. Robert Linton is a certified chiropractic orthopedist and a Fellow of the Academy of Chiropractic Orthopedists, providing quality care for patients in Mt.Sterling, KY.
Chiropractic orthopedists are doctors of chiropractic who specialize in the non-surgical branch of orthopedics. In other words, they don't just treat the spine, they treat the entire skeletal system including joints, muscles, tendons, ligaments, cartilage, and associated nerve structures. Chiropractic orthopedists have worked beyond standard chiropractic education requirements to achieve expertise consistent with an orthopedic specialist. After completing their degree of chiropractic, a chiropractic orthopedist must perform three to four years of rigorous post-graduate work and pass a board-certification process including both written and clinical examinations. Dr. Linton is a Fellow of the Academy of Chiropractic Orthopedists, a designation that distinguishes certified chiropractic orthopedists for clinical excellence and advanced training. As a FACO, Dr. Linton is committed to improving chiropractic clinical outcomes through ongoing research and continuing education on spinal injuries. He has lectured at several conferences for professional associations of nurses, chiropractors, medical physicians, and attorneys. See his bio page to learn more. 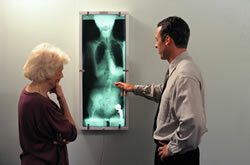 What Does Chiropractic Orthopedic Treatment Look Like? As a chiropractic orthopedist, Dr. Linton has a broad skill set for diagnosing and treating musculoskeletal conditions. In addition to orthopedic and neurological testing, Dr. Linton frequently uses diagnostic laboratory testing to determine the source of patients' pain. Those tests may include x-rays performed at the office, referral for additional imaging, and expert interpretation of previous laboratory results and patient records. 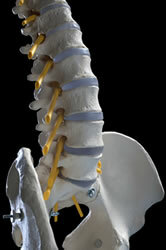 This enables Dr. Linton to locate objective causes of pain and injury, rather than just relying on symptom reporting. Treatment by a chiropractic orthopedist includes a range of non-surgical treatment approaches including traditional chiropractic manual techniques, exercise, soft tissue therapies, and more. See our services page for more information on Dr. Linton's treatment options. Dr. Linton frequently coordinates with neurologists, orthopedists, surgeons, pain management specialists, primary care providers, and other health professionals to ensure patients receive the highest standard of care. At Linton Spine & Joint Chiropractic Center, we're committed to helping patients achieve lasting pain relief while improving their overall health. We're located in Mt.Sterling, KY, but serve a broad community including Lexington, Winchester, Paris, Carlisle, Flemingsburg, Montgomery County, Menifee County, Powell County, Clark County, and Bath County. For effective pain relief, call Linton Spine & Joint Chiropractic Center today at (859) 499-1009.